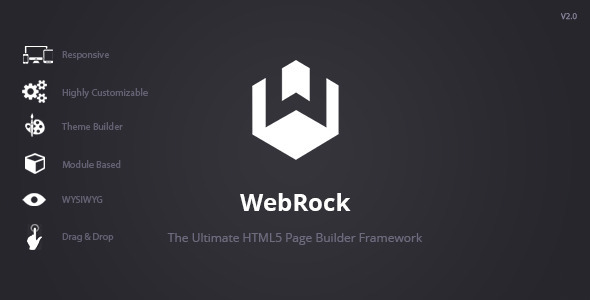 WebRock comes with a huge number of quality built in objects and plugins. You get the complete access to the HTML, PHP and SCSS files for each of them. You get a quality theme builder which allows you to set custom colors in your WebRock theme. No matter what color: red, green, blue or pink, the theme builder can make it. Being completely object oriented, each WebRock element is a module which can be modified as you wish, making development a pleasure. Powered by Bootstrap 3, you can be sure of having the perfect user experience on any device: desktop, laptop, tablet or mobile. What you see is what you get. See your website become a reality without even touching a line of code. That’s how amazing WebRock is.